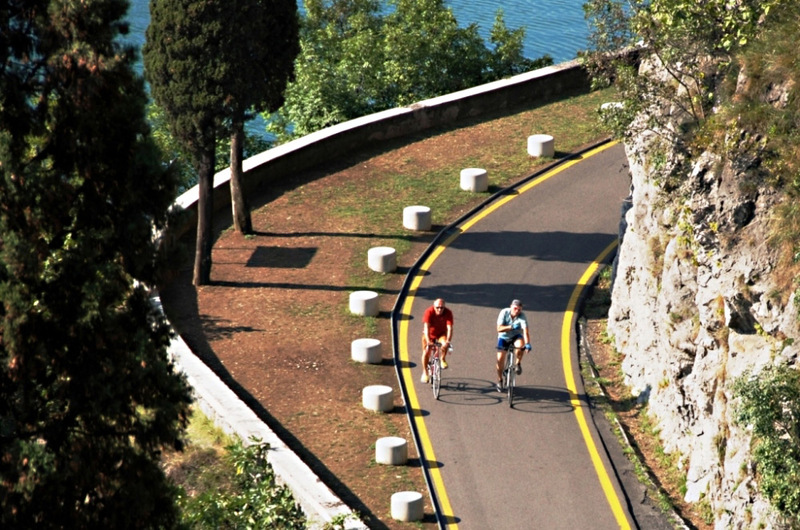 Recently restored by the Province of Brescia according to a plan by the Comunità Montana del Sebino, the Vello-Toline cycle/pedestrian track attracts every weekend lots of visitors. 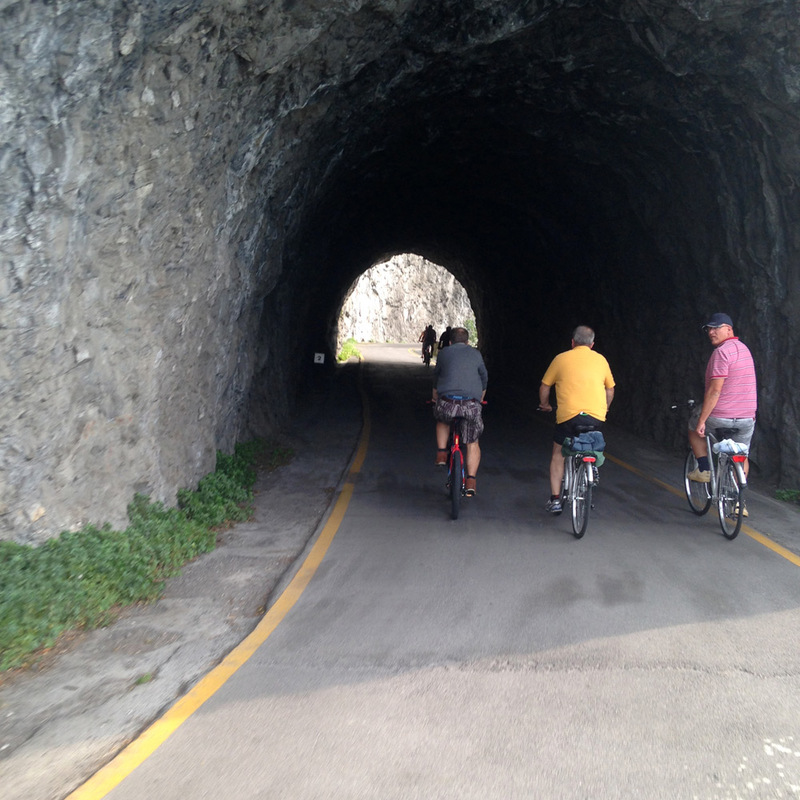 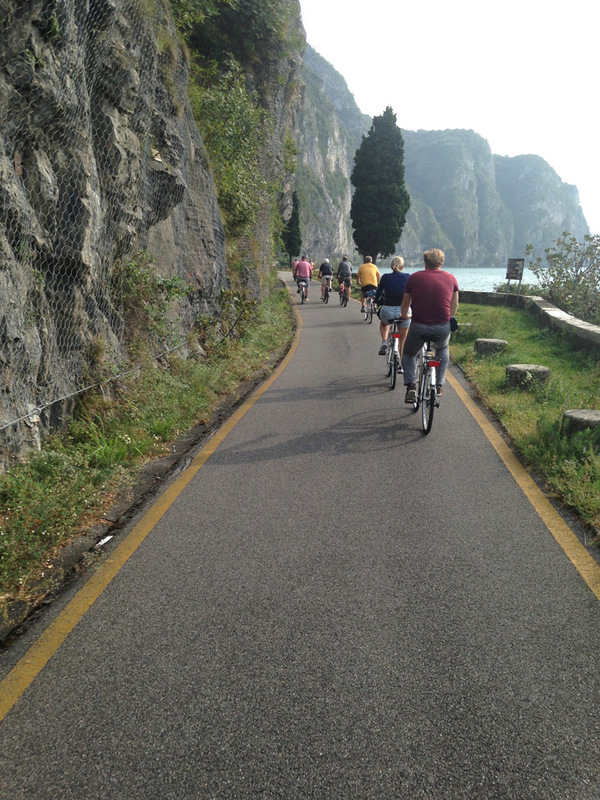 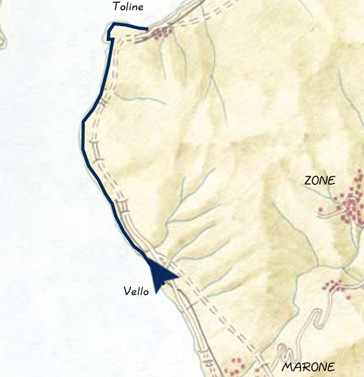 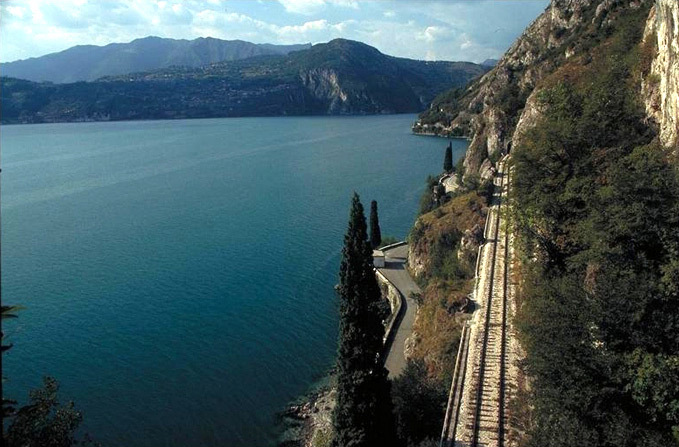 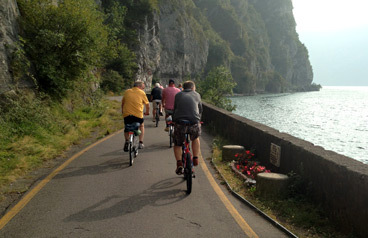 The track offers great views of Iseo Lake, which lies just a little more than one kilometre after the first tunnels of the Iseo-Pisogne coast road, in the municipality of Marone, below the coast road. 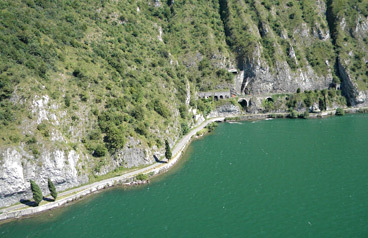 The track, which runs just above the lake surface with tunnels and rest areas, starts from Vello di Marone and ends in Toline di Pisogne. 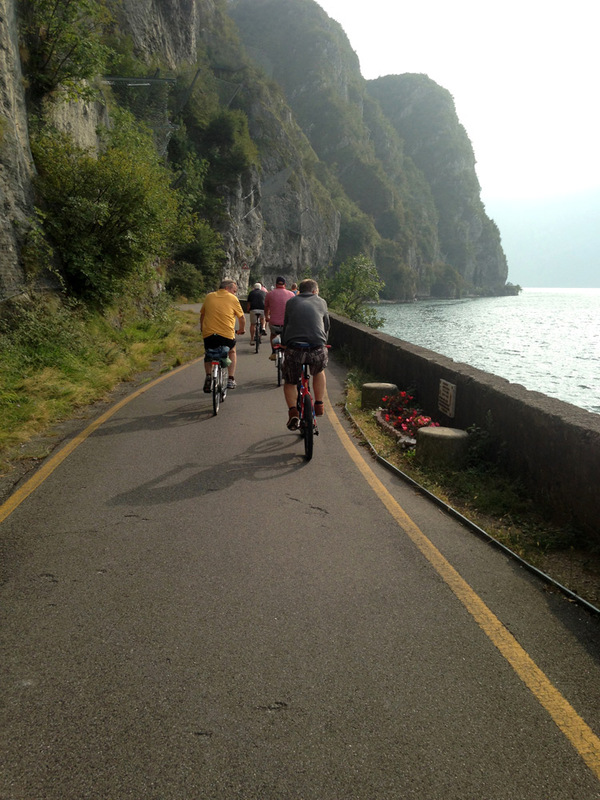 From the cementery of Vello (whose small fifteen-century church is worth a visit), where you can park your car, you continue by bicycle crossing the town of Vello. 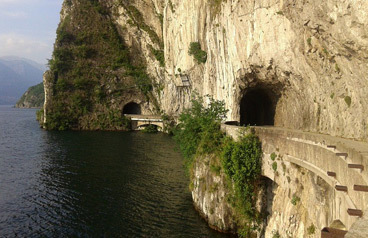 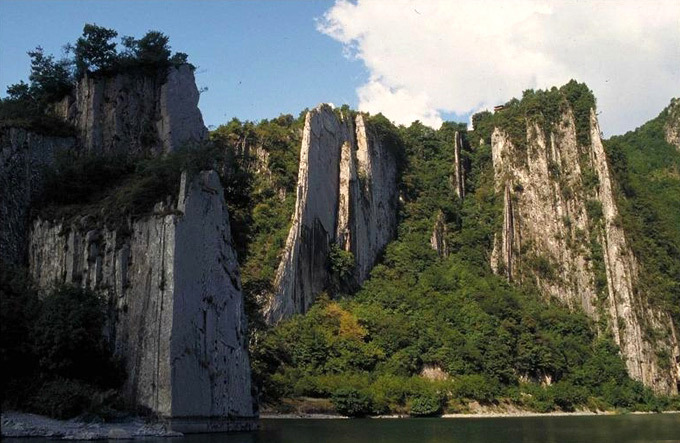 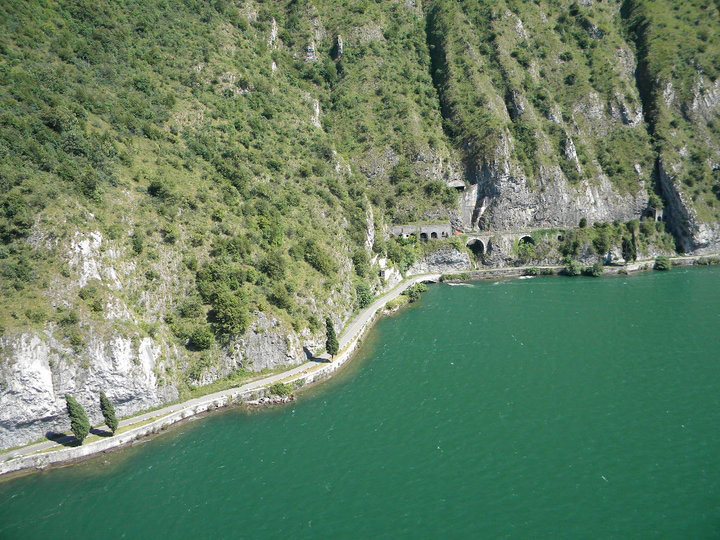 The track, which is all level, starts at the first tunnel and, always running along the lake, passes through the trough of Valle Finale, ending at the small promontory of Punta delle Croci Bresciane. 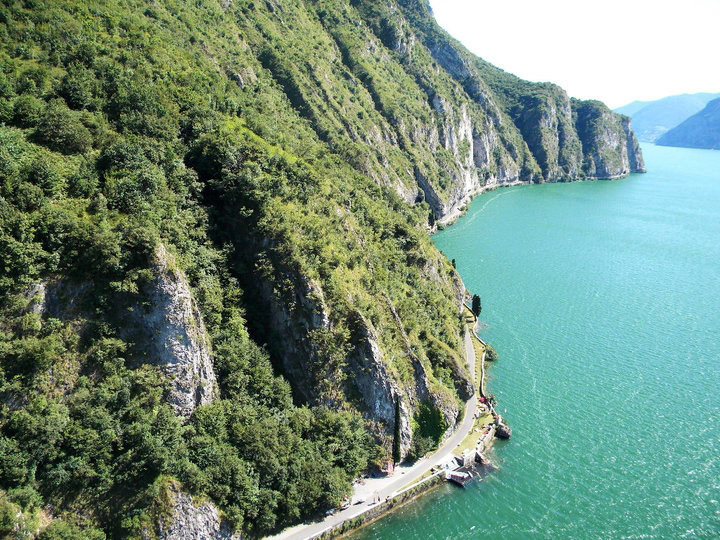 From here you can enjoy panoramic and far reaching views of the lake and of several spurs, including, on the other side of the lake, the "Bögn di Castro" cliff. 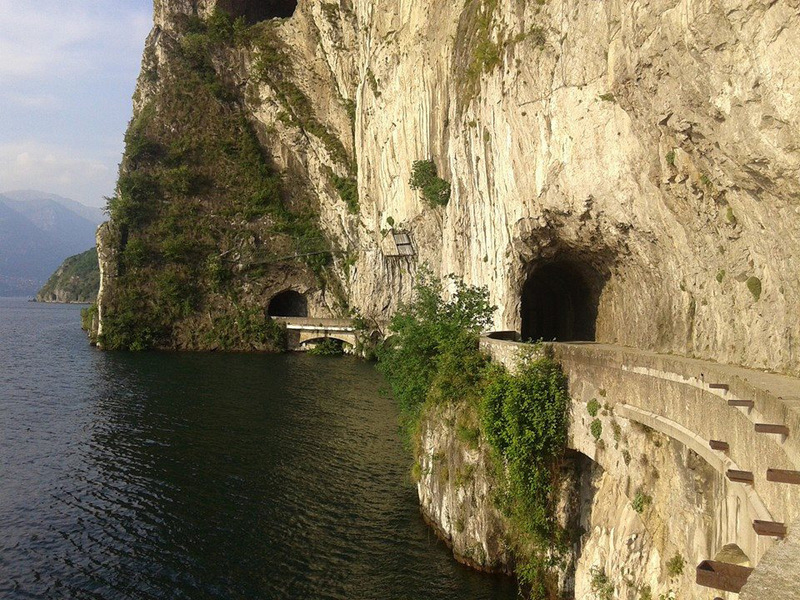 Follow the same road to go back.